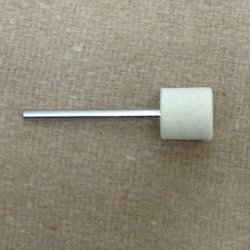 Providing you the best range of felt component 25mm x 25mm in 6mm shank cb007, felt component 13mm x 13mm in 3mm shank cb001, spindle mounted felt bobs and felt components with effective & timely delivery. 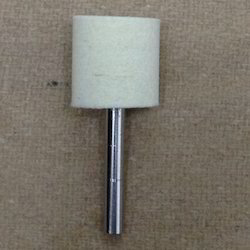 Backed with a team of skilled professionals we are providing Spindle Mounted Felt Bobs. 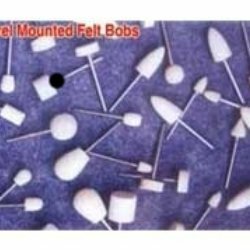 The offered felt bobs are find wide usage in scratch removing, polishing, micro finishing. Our felt bobs are manufactured with finest 100 % wool and leading technology under the direction of our skilled professionals. 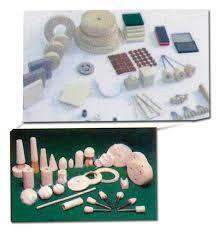 Our felt bobs are provided in numerous shapes & sizes to meet the varied needs of the clients.